Purple Donkey What’s The Word? 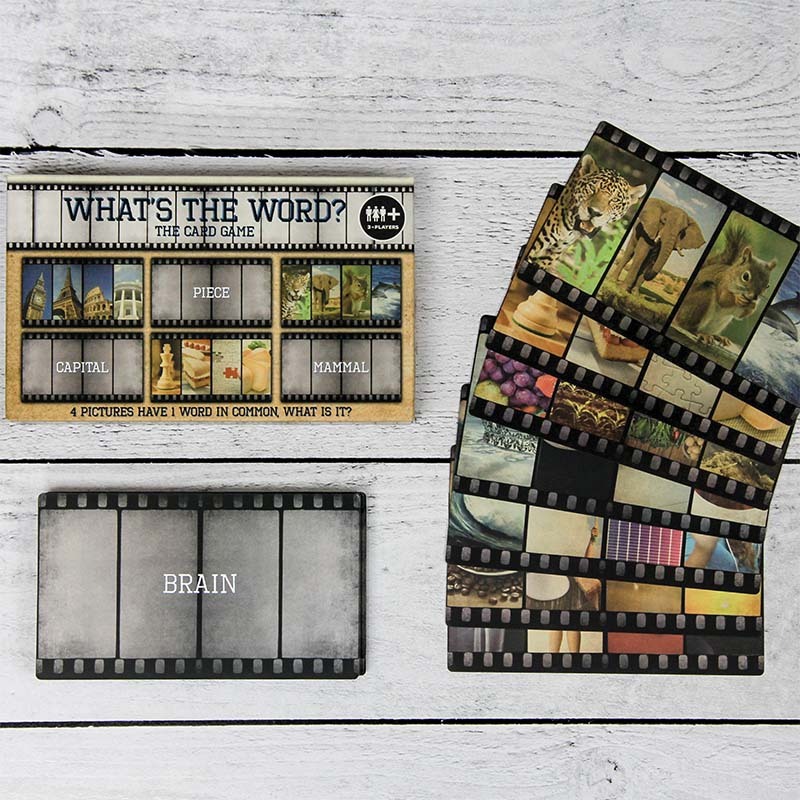 Put those little grey cells to the test with What’s the Word – a fun connecting game where players have to figure out the word that links four seemingly random pictures! Put those little grey cells to the test with What’s the Word a fun connecting game where players have to figure out the word that links four seemingly random pictures! Compete with friends and family to see who can make the connection quickest. 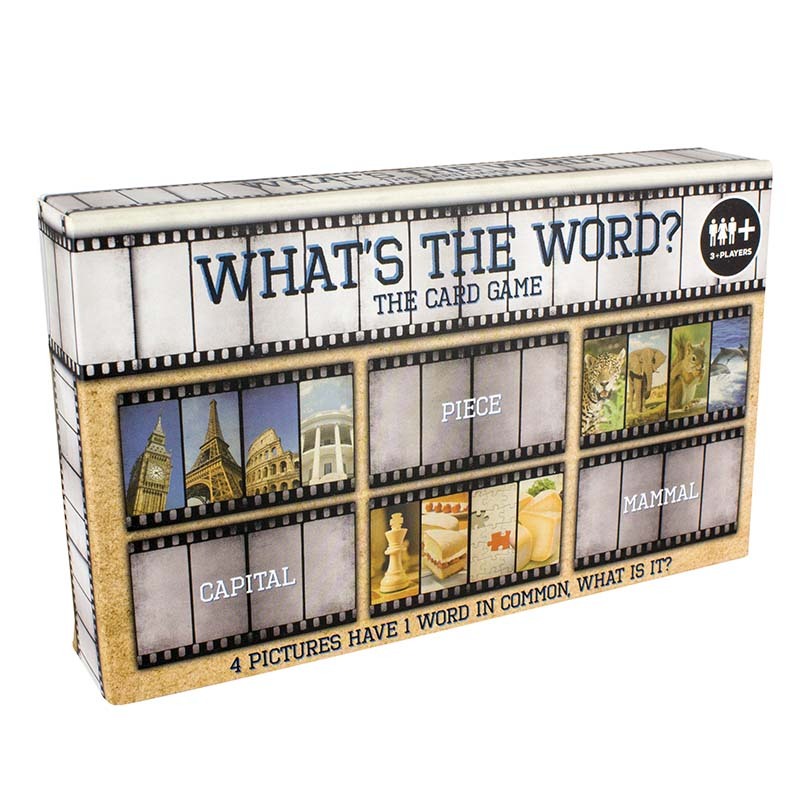 Players are confronted with picture cards featuring 4 linked images and are then required to come up with the single word that links all four! With 50 different picture cards included, What’s the Word is great fun for parties and family occasions, and is sure to get everyone playing and having fun. Easy to pick up and play, the game comes with full game play instructions, and is suitable for all the family. What’s the Word is fun, yet challenging, and comes neatly packaged as a charming gift set, What’s the Word is part of the Purple Donkey gift range from Paladone. Purple Donkey aims to create great inclusive gifts and games that are easy to pick up and play as well as providing fun and laughter for all ages.